Trade Name CyberConnect2 Co., Ltd.
NARUTO™ Shippuden: Ultimate Ninja Heroes 3 software © 2004-2010 NAMCO BANDAI Games Inc.
NARUTO™: Ultimate Ninja®: STORM software © 2004-2008 NAMCO BANDAI Games Inc.
NARUTO artwork and elements © 2002 MASASHI KISHIMOTO. All Rights Reserved. software © 2006-2008 NAMCO BANDAI Games Inc. All Rights Reserved. Program © 2004-2007 NAMCO BANDAI Games Inc. 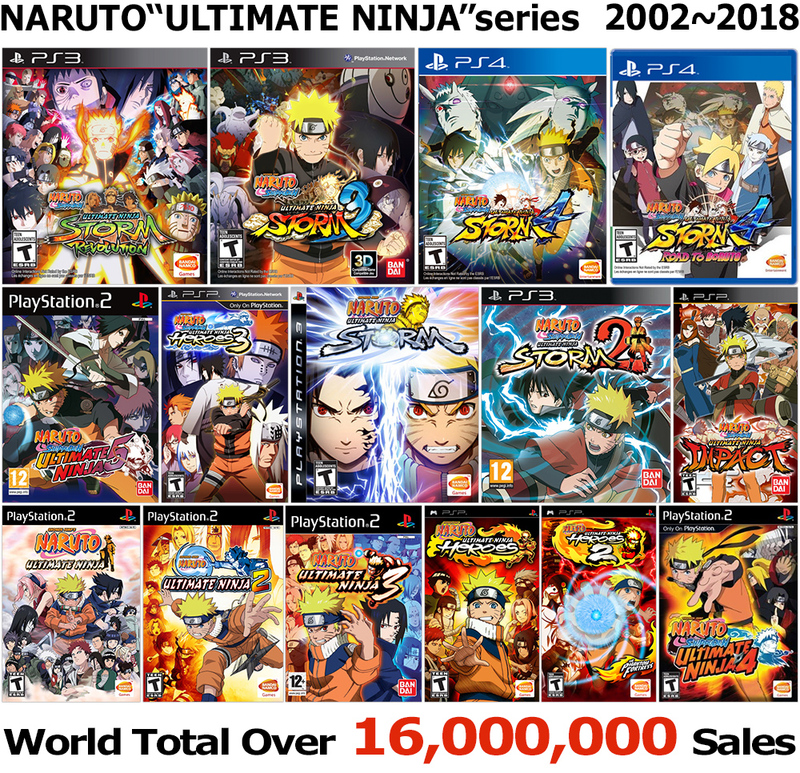 Ultimate Ninja Heroes is a trademark of NAMCO BANDAI Games America Inc.
NARUTO: Ultimate Ninja software © 2004-2008 NAMCO BANDAI Games Inc.? All Rights Reserved.NAMCO BANDAI Games logo is a trademark of NAMCO BANDAI.NARUTO artwork and elements © 2002 MASASHI KISHIMOTO. All Rights Reserved. SHONEN JUMP and NARUTO are trademarks of Shueisha, Inc. in the U.S. and/or other countries.This product is manufactured, distributed and sold in North, South and Central American territories under license from VIZ Media, LLC. .hack® //G.U.™ & © 2007 NAMCO BANDAI. © 2007 NAMCO BANDAI Games Inc. Rebirth, Reminisce and Redemption are trademarks of NAMCO BANDAI Games America. .hack® //G.U.™ & © 2006 NAMCO BANDAI.? © 2006 NAMCO BANDAI Games Inc. Vol. 2: Reminisce is a trademark of NAMCO BANDAI Games America Inc.
©Drecom Co., Ltd. powered by CyberConnect2 Co., Ltd.